Our mountain farm is located on a sunny hill at 1400m above sea level. You will stay in the heart of a pasture area boasting a marvelous flora and unspoilt nature. Family Hueber-Kuprian warmly welcomes you! Welcome to the Sonnenhof farm! We spoil our guests with organic farm produce. You will enjoy homemade milk, meat, bacon, bread and cheese. Choose between B&B and half-board. All rooms feature shower/toilet. Your children will love the playground and the playroom as well as the many animals (cows, sheep, pigs, chicken, peacocks, rabbits, cats). Many hiking possibilities to pastures and mountains! You are kindly invited to spend the night in our mountain hut (BBQ facilities). 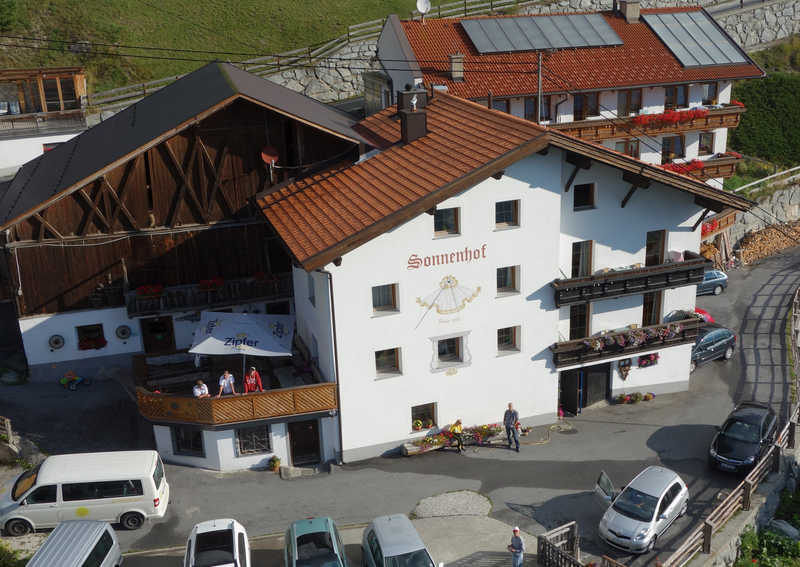 The mountain bike route to Samnaun and Ischgl passes our house. Cozy winter evenings next to the tiled stove; snowshoe hikes and tobogganing possible.